The League of Arab States was formed after World War II, and after 68 years it is the oldest organization in the region. Its formation in 1945 was an important international event, one that has influenced the dynamics of regional relations because it became the practical embodiment of Arab unity, which became institutionalized throughout the region. Over its long lifetime, the Arab League has evolved through several stages defined by the historic challenges that have faced the Arab world. Arab decolonization made its first decade an effective one by facilitating Arab nationalism and socialism, for which Egypt was an active proponent. There were no Islamic slogans at all during this period because the Arab League reflected the interests of the region’s dominant countries — Egypt, Iraq and Syria — and it was the chief instrument of Arab national politics, which strengthened cooperation among its members in economics, finance and commerce, among other areas (since the early 1950s, the league has formed 19 specialized inter-Arab organizations that encompass virtually all aspects of economic activity among the Arab states). However, most agreements have not been fully implemented in practice, and the intra-Arab economic organizations have proved to be extremely ineffective. That was primarily due to the Arab world’s growing political disunity, the personal ambitions of individual Arab leaders that prevented consolidated decisions from being made on the most important economic and political issues, and the uniformity of economic structures, as well as the generally depressed economies of the Arab countries and their strong dependence on the global market. Added to this were the Arab League’s failed attempts to resolve the Palestinian problem, constant defeats in Arab-Israeli wars and increasing conflicts between individual states. During the late 1960s, the concept of Islamic unity initiated by Saudi Arabia was set against the idea of Arab unity. The Organization of the Islamic Conference (OIC), which was formed in 1969, decisively split the Arab world. The Arab league has not evolved into an organization capable of effectively influencing the situation in the region and preventing or quickly resolving the inter-Arab conflicts that arise. Nor has the system of mutual military obligations among the Arabs proved effective, as the events of 1990-1991 in the Persian Gulf when Iraq attacked Kuwait clearly illustrated. When intraregional problems deepened in the 1990s, conflicts between individual Arab countries grew worse and the Persian Gulf monarchies gained political strength, the Arab League’s role in international relations diminished even further, as evidenced by its inability to react to the US occupation of Iraq in 2003 and formulate a pan-Arab position. And voices calling for reform and amendments to the organization’s Charter grew louder among its members (Libyan leader Moammar Gadhafi was among the harshest critics of the League’s activities; he threatened to pull out and countered it with the African Union, which was formed at his initiative). Yet despite the Arab League’s many problems and contradictions, it has always held strictly to the letter of its Charter, which defined its goals as the coordination of actions by Arab countries in the political, economic, social and cultural spheres “to achieve co-operation between them and to safeguard their independence and sovereignty…” The Charter promoted respect for the existing systems of government and noninterference in each other’s internal affairs, as well as the resolution of all disputes by peaceful means. Despite ambivalent attitudes towards the League by the Arab states themselves, often diametrically opposed opinions about its actions, and a number of disagreements on key issues among its members, it has nevertheless retained its importance as an exponent of the interests of the Arab countries on the international stage, including at the United Nations. The Arab League once again established itself as a regional organization during the Arab Spring by demonstrating its ability to influence the situation in the region. However, the mechanism by which it exercised influence changed significantly, as did its effects, which extended far beyond the Arab world. The largest Arab organization was transformed into an instrument for individual states to achieve specific objectives, as was clearly demonstrated during the war in Libya. The Arab League’s decision regarding Libya was completely unprecedented. For the first time in its history the organization imposed an isolation regime on an Arab country and asked the international community to intervene. It accused Libyan leaders of carrying out reprisals against armed demonstrators (recall that the Arab League and other countries have quite calmly accepted such actions in some Arab states.). Moreover, the Arab League did not expel Iraq, which occupied Kuwait in 1990 and exposed the entire country’s population to violence, and in 1979 Egypt’s membership was only suspended even though it was charged with betraying the interests of the entire Arab world. In placing Libya at NATO’s mercy, the Arab League abandoned its primary role by rejecting all options for peaceful resolution of the conflict, not even offering to serve as a mediator (in contrast to the African Union, which developed a roadmap for resolving the situation in Libya but was ignored by the international community). However, it did not take part in the military operation. Only the UAE and Qatar sent aircraft to patrol Libyan airspace. The League has adopted a similar stance towards Syria — a founding member — although Lebanon and Yemen voted against a resolution suspending Syria’s leadership, and Iraq abstained. Moreover, Egypt and Algeria have refused to recall their ambassadors from Damascus as required by an Arab League resolution. Nevertheless, the political split in the League does not prevent it from promoting the interests of the Persian Gulf monarchies, primarily Saudi Arabia and Qatar, which have begun taking a dominant role in the organization and actively using its toolkit to their own advantage. The League’s decision to suspend Syria and impose political and economic sanctions on Damascus was largely at Saudi Arabia’s initiative, and the decision did not acknowledge that Damascus had implemented most of the organization’s terms for settling the conflict. In November 2011, the Arab League officially recognized the National Coalition of Opposition Forces of Syria that was formed in Doha. After Libya, however, it became clear that the organization can no longer reach consensus on sanctions or other denunciatory decisions. That became evident when an Arab League observer mission sent to Syria in March 2012 to monitor the situation submitted a report saying that security forces had not fired on an opposition demonstration. Following discussion of the report, a campaign was begun to discredit the mission’s head — Sudanese General Mustafa al-Dhabi — and he was immediately removed from his position. It is now obvious that the League has begun reflecting political divisions throughout the Arab world and the hegemony of the oil monarchies belonging to it. At the same time, forces within that are attempting to resist that hegemony are growing stronger. At the March 2012 Arab League summit in Baghdad, Iraq make clear its position regarding the imposition of sanctions on Damascus. Prime Minister Nouri al-Maliki let it be known that he was not interested in regime change. Lebanon’s leaders took the same position, and Lebanese Foreign Minister Adnan Mansour urged the League to restore Syria’s membership in the organization at its meeting in Cairo on March 6, 2013. 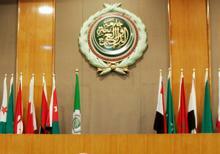 These differences, however, do not mean that the Arab League has completely exhausted its potential. Therefore, its toolkit may still be effective in exerting political pressure on undesirable regimes, primarily the one in Damascus. An Al Jazeera report talked about that (however, it was quickly denounced by Secretary General Nabil al-Arabi). It said the Arab League would give Syria’s seat to the opposition, which would represent Syria. Algeria and Iraq were strongly opposed. The Iraqi representative said the Arab League is a forum for states, not opposition movements. The problem is that there is no ideological alternative to the process of Islamization in the region promoted by the Persian Gulf monarchies; however, strengthening regional security dictates the need to find joint solutions to counter modern threats. That is where the Arab League can still put its resources to work. Clearly, the Arab world’s descent into chaos and its transformation into a patchwork of political and ethnoreligious conflicts, some of which outside players can exploit to their own advantage, run contrary to the interests of the entire region. That includes the Persian Gulf monarchies, whose main threats are their Shiite enclaves and the rise of their neighbor, Iran. In the face of new challenges and threats with which national governments are unable to cope by themselves, the sole regional Arab organization continues promoting the idea of a “united Islamic front.” However, that idea is taking the form of political chaos and ethnoreligious conflicts, along with stronger armed transnational Islamic groups that are gradually replacing the regional structures as they form linkages between various Arab countries. Marina Anatol’evna Sapronova, Dr. Sc. (History), is a professor in the Department of Oriental Studies of the Moscow State Institute for International Relations (University) of Russia’s Ministry of Foreign Affairs. This article was written expressly for New Eastern Outlook.